Fast 24 Hour Water Damage Repair Service! Our 24/7 EMERGENCY service tech's can be at your door in 1 hour! Flooded House?... We can help CALL TODAY! Do you have a flooded home or business? 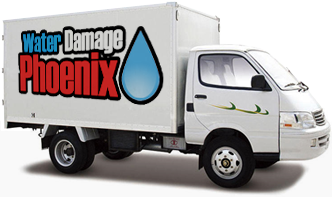 Call Water Damage Phoenix today we have have all the right equipment to help. We have industrial sized water extractors to remove water from floors, carpets, basements or anywhere water may collect. We will dry out all moisture possible. We will even help you sort, box, and re locate any items that may have water damage. We will help you in ALL aspects of your water situation. If water has been in your home for a extended period of time that increases the potential for MOLD GROWTH.